Who Is This Duane Gomer? This is our most popular continuing education option. Read the continuing education materials beforehand, attend a scheduled "optional review", then start your final exams on our web site. Satisfies requirements for all licenses, and inexpensive too. Our online final exams are easy to access. All exams are open book. No other school that we are aware of is presenting this 20-hour course in just 2 days in a live classroom environment. This is our exclusive 2-day 20-hour NMLS Pre-Licensing course. On Day 3, attend our Live 1-Day Exam "Crash" Course. Why? We know what you should expect on the UST Exam, We know how to prepare you. We are the "crash course" specialists. PRICING: We have a special "bundled" price for the 3 days, or you may individually select the 2-day Pre-Licensing course, or the 1-day "Crash" courses . Our very popular LIVE 1-Day course is offered in a city near you, This LIVE seminar includes three hours of federal law and regulations, two hours of ethics, two hours of lending standards for nontraditional mortgages, and one elective hour on California Home Lending and Foreclosure Updates to meet both California DBO and DRE renewal requirements. Enroll now before it's too late!. We have an excellent and efficient online home study program. 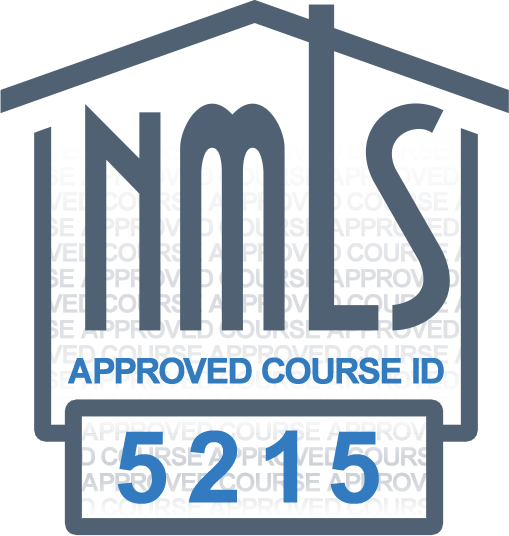 This is the course you need to complete to qualify to take the NMLS National UST Exam. Our student ranking are exemplary, so please check us out. 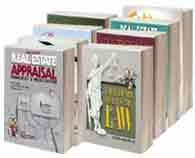 Getting a California real estate salesperson license with us is easy and inexpensive. Only three simples steps. Sign up for the three "qualifying" courses, study the materials, and pass our open-book online final exams. Prepare For The State Exam. Complete our outstanding one-day live "Crash" session at one of our convenient California statewide locations, (review our current schedule), or home-study crash course, and you will be better prepared for the State Exam. We guarantee it. Our passing rates are outstanding. Special bundled pricing. Money back guarantee. Most importantly, friendly, knowledgeable customer service personnel. Why Should You Become A Broker? Most broker associates make more money, in our opinion. You will be more educated and clients appreciate this. More flexibility, more opportunities, more prestige, a sense of accomplishment. How Can Duane Gomer Education Help You? "Quick delivery of course materials. User-friendly Internet classes. I have been in the business 21 years and have re-licensed each time using Duane Gomer Seminars." -- P. J. H.
"I wouldn't takes classes from anyone else! Duane's the absolute best." -- B. C.
"Perfect Classes -- you don't need to look any further." -- S. D. T.
"I love this guy. I look forward to his clases every 4 years. He's funny and very knowledgeable." -- P. C.
"Very informative, fun, humorous and pleasant." -- A. R.
"Fantastic -- Very funny life experiences." -- S. H.
"Fantastic -- Great Speaker -- Enjoyable class." -- M. G.
"Kept me awake and clearly comminicated all information." -- P. M.
"Enjoyed the seminar so much I ran to and from the restroom when I needed a break so I wouldn't miss anything"
"Awesome. I had a smile on my face all day." Let Duane Gomer's California Real Estate School help you accomplish your goal of getting your California Real Estate Sales or Broker License. Get your California real estate salesperson or broker license through one of the most recognized schools in the California real estate industry. Duane Gomer, Inc. specializes in helping people obtain their California real estate salesperson and broker Licenses. 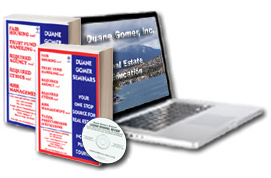 Duane Gomer makes it easy, convenient and affordable offering correspondence real estate continuing education courses. 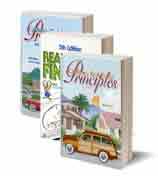 Duane Gomer's California real estate school provides continuing education courses that are available as textbooks or on CD-Rom or PDF downloads. Getting your California real estate salesperson and broker license has never been so easy! Duane Gomer's real estate school conveniently provides you with materials, real estate continuing education courses, and information that is affordable as well as informational. Our California real estate school is specifically designed to help you obtain your California real estate license in the fastest possible way. If you are looking for California Real Estate License information or want to renew your license, Duane Gomer, Inc. can help! Duane Gomer's California real estate school understands that money and time are tight today. Our California real estate school offers complete real estate courses that are aimed to help busy adults that are often times working full time and have a family. Our California real estate licensing school is designed to help prepare students for the State exam providing them with preparation materials specifically for today's busy adults. Whether you want to become a California Real Estate Salesperson or Broker or renew a license, Duane Gomer's Real Estate Courses and California real estate school is your best source for accomplishing this goal.